As the economy continues its steady climb, more people are looking to get back to work or change careers. If you’re seeking a career in the teaching field, know that there is not one set path of educational requirements for reaching your goals. In general, most states require elementary school teachers to have a bachelors degree in education in order to obtain a Master of Arts in Teaching. Those who opt to teach middle and high school students or those in private school do not need to have a bachelors degree in education, but generally are required to have a major focus in a subject area such as chemistry, math, or literature, according to findings compiled by the Bureau of Labor Statistics’ Occupational Outlook Handbook. However, there are certain courses, focus areas, and job experience that the Master of Arts in Teaching program requires of its degree candidates. Here is a general description of what the degree path looks like. The Masters of Arts in Teaching requires that candidates have a bachelors degree as a prerequisite. While some do not require a bachelors in education, it’s best to thoroughly research the prerequisites of the masters program you intend to apply to. When pursuing a bachelors in a non-education major, candidates would do well to take undergraduate courses that focus on education and childhood development. Courses such as early childhood education, child behavior and development, adolescent psychology, and childhood behavior therapy are a few examples. If you have an idea of the subject area you want to teach in, start taking the appropriate courses now. If possible, prior to graduation from undergrad, you should also try to gain an internship or summer job that allows you to work closely with children. This will give you the skill set necessary for a career in education, as well as show masters degree admission officers and future employers that you are dedicated to the profession. Admission requirements for the Masters of Arts in Teaching includes a passing score on the GRE or MAT exams. Strong analytical skills and high scores in verbal acuity and writing are a must. Those degree candidates that score the highest on these exams place themselves ahead of the competition. Degree candidates at this point should focus their curriculum on courses that will fulfill their state’s licensing requirements. 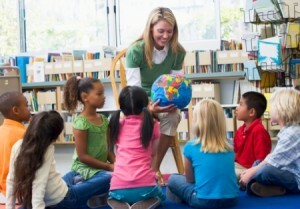 Expect to spend part of your time in an internship as a student teacher. You’ll be placed in a classroom to instruct children while being supervised by a licensed teacher. As you can see, there are several avenues you can pursue towards earning a Master of Arts in Teaching. The grade you want to teach and individual state requirements will determine whether you need to have a bachelors degree in education. Researching these matters ahead of time will ensure a smoother path on your journey to becoming a teacher.